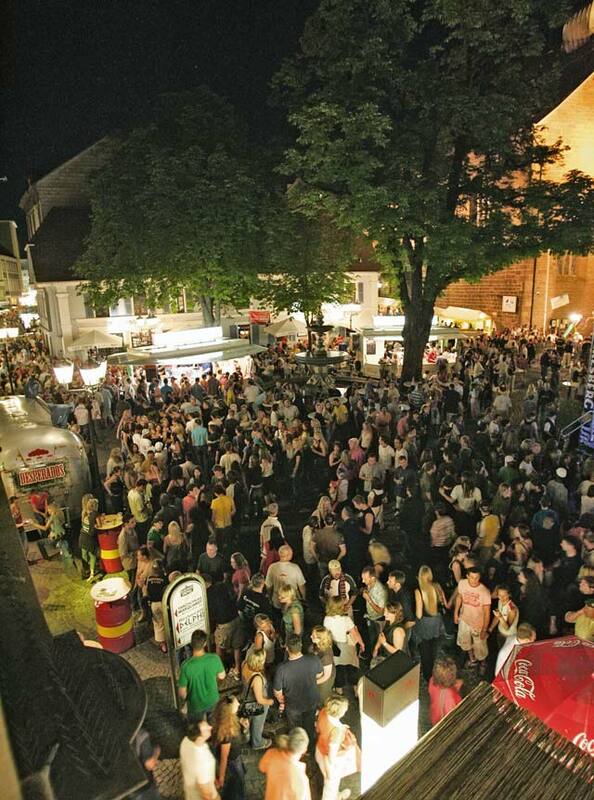 Each year, the Altstadfest Kaiserslautern lures around 200,000 visitors. This year it takes place July 3 to 5. The historical part of Kaiserslautern called “Altstadt” will lure more than 200,000 visitors when it celebrates its annual Altstadtfest, old town fest, July 3 to 5. For three days and two nights, Steinstrasse and its side streets will be one giant open-air area. Kaiserslautern’s deputy mayor, Dr. Susanne Wimmer-Leonhardt, will officially open the event at 7 p.m. July 3 at Unionsplatz. During the three-day event, more than 70 bands and artists will perform on nine stages set up between Martinsplatz on the bottom of Steinstrasse and Mainzer Tor on top of Steinstrasse. More than 80 national and international vendors will present their merchandise such as art and craft items, leather goods, jewelry and clothes in the little side streets. About 40 restaurant and pub owners located in the Altstadt as well as regional associations will put up booths and tables and take visitors on a culinary trip throughout the world. The medieval group Die Legende will set up a medieval camp near St. Martin’s church and present show fights, medieval dancing, music and fire shows. The election of Miss Kaiserslautern 2015 will take place 3 to 5 p.m. July 5 on Unionsplatz. 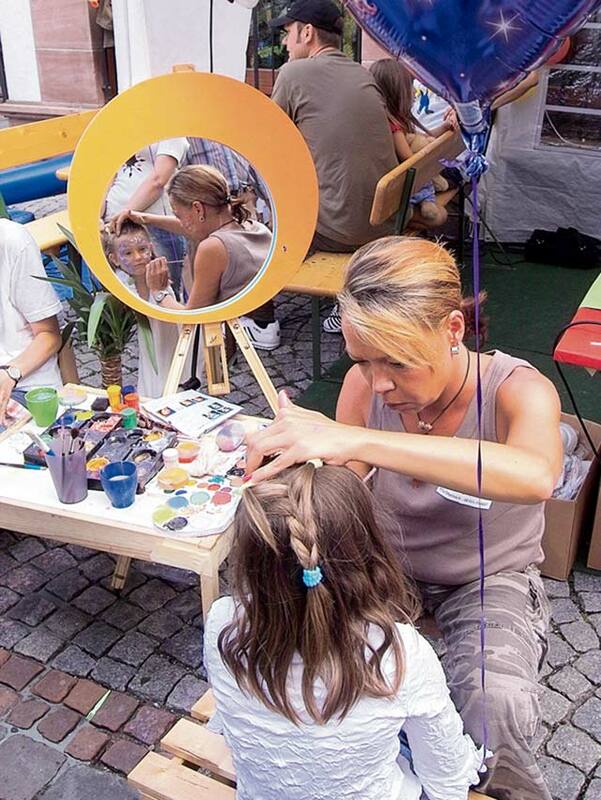 Children can have their faces painted and take part in other activities during the Altstadtfest. Busses depart the bus station at the Kaiserslautern city hall between 0:15 and 3:15 a.m. For more information and to see the bus schedule, visit www.swk-kl.de/en/transportation/the-lautrer-night-bus.html. The fest is open on July 3 from 3 p.m. to 1 a.m.; July 4 from 11 a.m. to 1 a.m.; and July 5 from 11 a.m. to 10 p.m..
For more information on the program, bands and times, pick up the brochure in the Kaiserslautern Tourist Information office next to the Fruchthalle, in local restaurants or other official institutions. Organizers recommend using buses and regional trains to get home at night.